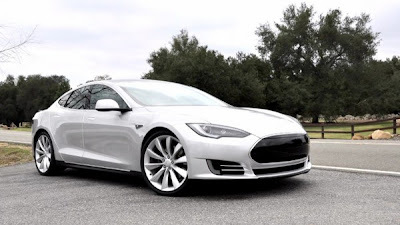 Tesla Motors launched a Web page today showing the base model, with a 40 kilowatt-hour battery pack, costing $49,900. The 60 kilowatt-hour model runs $59,900, and it's another $10,000 jump to the 85 kilowatt-hour model. Go up to $79,900 for the Performance model, which also comes with the 85 kilowatt-hour battery pack and a zero to 60 mph time of 4.4 seconds. All of those prices are after a federal tax credit of $7,500. Those battery packs give the Model S an estimated range at 55 mph of 160 miles, 230 miles, and 300 miles respectively. Tesla says this pricing is only guaranteed for current reservation holders. Pricing for new buyers may change when the car goes into production next year. Unfortunately, Tesla CEO Elon Musk said in November next year’s production of its new Model S sedan has already sold out.